Queen Cimorene turns to her friends Morwen, Telemain, and Kazul for help when troublesome wizards make their way back into the Enchanted Forest and begin to soak up its magic. Cinder and Captain Thorne are fugitives on the run, now with Scarlet and Wolf in tow. Together, they&apos;re plotting to overthrow Queen Levana and prevent her army from invading Earth. Their best hope lies with Cress, a girl trapped on a satellite since childhood who&apos;s only ever had her netscreens as company. In 1520, thirteen-year-old Anne Boleyn, jealous of her older sister&apos;s beauty and position at court, declares that she will one day be queen of England, and that her sister will kneel at her feet. "Queen Levana is a ruler who uses her "glamour" to gain power. 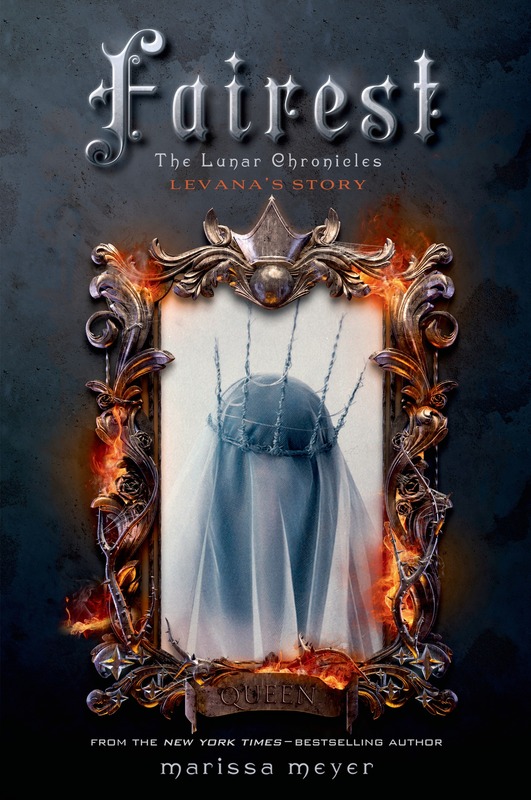 But long before she crossed paths with Cinder, Scarlet, and Cress, Levana lived a very different story - a story that has never been told . . . until now"-- Provided by publisher. "Ever since he was a dwarfling, Borlen (nicknamed Grump) has dreamed of visiting The Surface, so when opportunity knocks, he leaves his cavern home behind. At first, life aboveground is a dream come true. Queen Elfrieda Veronika Ingrid Lenore (E.V.I.L.) is the best friend Grump always wanted, feeding him all the rubies he can eat and allowing him to rule at her side. But as time goes on, Grump starts to suspect that Queen E.V.I.L. may not be as nice as she seems. When the queen commands him to assist in a fiendish plot against her stepdaughter, Snow White, Grump is in over his dead. He&apos;s bound by magic to help the queen, but also to protect Snow White. As if that wasn&apos;t stressful enough, the queen keeps bugging him for updates through her magic mirror! He&apos;ll have to dig deep to find a way out of this pickle - and that&apos;s enough to make any dwarf Grumpy indeed"--Provided by publisher. "When Keri is unexpectedly named the next ruler of Nimmera, she must guide the small, magical land through a perilous time"-- Provided by publisher. Eugenides, still known as a Thief of Eddis, faces palace intrigue and assassins as he strives to prove himself both to the people of Attolia and to his new bride, their queen. Mary, the young Scottish queen, is sent a diary from her mother in which she records her experiences living at the court of France&apos;s King Henry II as she awaits her marriage to Henry&apos;s son, Francis. Lady Jane Grey, who at sixteen was Queen of England for nine days before being executed, recounts her life story from the age of nine. I had freckles. I had sandy hair. I was too short. Would my feet even touch the ground if I sat on the throne? These are the words of lady Jane Grey, as imagined by celebrated author Ann Rinaldi. Jane would become Queen of England for only nine days before being beheaded at the age of sixteen. Here is a breathtaking story of English royalty with its pageantry, privilege, and surprising cruelty. As she did in her previous novel Mutiny&apos;s Daughter , Ms. Rinaldi uses powerful, evocative writing to bring to life a teenage girl caught in the grip of stirring times. Sensei Ki-yaga leads Niya and the other students of the Cockroach Ryu on a journey to beg the feudal Emperor to stop war from breaking out between the mountain ryus, putting to the test the firm friendship and unusual skills of these physically-disabled samurai-in-training. In 1501 fifteen-year-old Catharine of Aragon arrives in England to marry Arthur, the eldest son of King Henry VII, but soon finds her expectations of a happy settled life radically changed when Arthur unexpectedly dies and her future becomes the subject of a bitter dispute between the kingdoms of England and Spain. Miri returns to Asland and calls upon all of her knowledge of rhetoric and other useful lessons learned at the Princess Academy when she and the other girls face strong opposition while working for a new, fair charter. Miri is eager to return to her beloved Mount Eskel after a year at the capital, but the king and queen ask her to first journey to a distant swamp and start her own miniature princess academy for three royal cousins, but once there she must solve a mystery before she can return home. A girl is transformed, through instruction in life at court, determination, and magic, from sullen, pudgy, graceless Ben into Crown Princess Benevolence, a fit ruler of the kindgom of Montagne as it faces war with neighboring Drachensbett. "Based on a set of unfinished Mark Twain notes for a children&apos;s story, this is the tale of Johnny, a young boy with a magical ability to speak to animals who sets off to rescue a stolen prince"--Provided by publisher. Young King Jaron has taken the throne of Carthya, but after enemies attempt to assassinate him, and a neighboring kingdom threatens invasion, he finds that he has no friends in the palace, not even his bride-to-be, princess Amarinda--and his regents think it would be better for Carthya if he just disappeared again. Amid the festivities of the Luminary Ball, twelve-year-old Kara and Prince Fred search for her father and for the antidote that will save his parents from the Shadow Queen&apos;s poison. When the Justice he works for is condemned for treason, fourteen-year-old and semi-reformed pickpocket Weasel sets out to find a notorious bandit who may be able to help save his master&apos;s life.